Created to coincide with the addition of Go-Gurt treats as part of a healthier Happy Meal, this guy looks instead like he's trying to lure a stoned teen to spend his allowance on delicious fast-food treats at the Golden Arches. 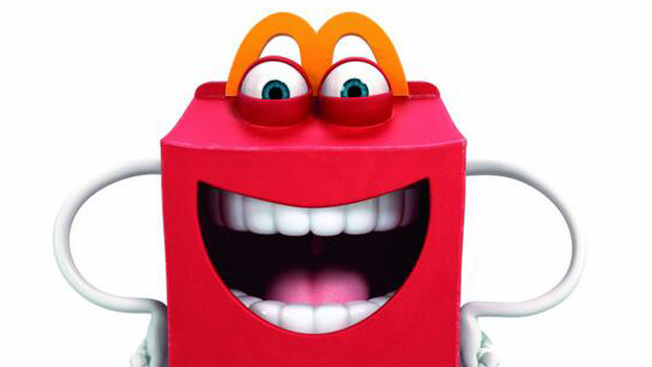 “At McDonald’s, we’re always looking to bring fun and happiness to families and listening to our customers’ asks to have more variety and wholesome options for kids to enjoy in their Happy Meals,” said Julie Wenger, senior director of U.S. marketing, in a statement from the House of Ronald. This is the perfect super-size rhetoric to set up your child's future decision to drunkenly eat both Big Macs during a 2 for $2 deal. I'm lovin' it.